We provide a wide range of compatible refrigerator filters in the global market today. For your convenience, Vectornate makes long-lasting refrigerator filters using Concentrated Carbon Technology. 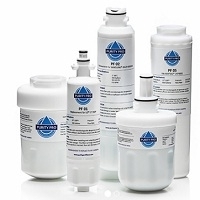 Our refrigerator filters have been proven in its functionality and product lifetime through the independent examination of NSF/ANSI 42 and 53 requirements. Short on time? Let refrigerator sellers contact you. Gross capacity(L): 162 Refrigerating capacity(L):102 Freezing capacity(L): 60 Energy class: A Climate: N Refrigerant: R600a/R134a N.W: 45kg G.W: 48kg Product dimension(mm): 520x540x1375 Packing dimension(mm): 565x596x1455 Loading (40¡¯HQ): 142sets With CE,CB,ROHS certificate. 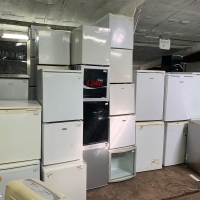 * Net capacity Litre: 138L Fridge:95L Freezer:43L * Energy class:A * Refrigerant:R134a or R600a * AC220V/50Hz or 110V/60Hz * Input power:110W * 138L (4.9 cuft) compressor refrigerator * Mechanical temperature control * Manual Defrosting * Recessed handle * Environment-Friendly Technology * Optional:lock * Upper zone for freeze, lower zone for refrigerator * Manual defrost * 3 shelves ( 2 full-wideth and 1 half) * 3 full-width crystal Door Balconies * Temperature Range: -18 deg. C to 10 deg. C * Noise Level (dB):39 dB * AC 220V/50Hz or AC 110V/60HZ * Safety approval: CE,CB,RoHS,ETL,CETL. 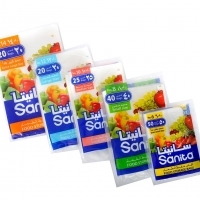 * 1PC/CTN * Export Standard Carton * N.W. :37KGS G.W. :39KGS * Product size: 480x490x1300mm * EC Dimension: 510x520x1325mm * 1*20"GP: 60pcs 1*40"GP: 124pcs 1*40"HQ: 176pcs. Model Number:BCD-380 Specifications: * Mechanical temperature control * Energy saving and low noise * Frost-free design * Interior light in refrigerator * Tempered-glass shelf in fridge * Adjustable epoxy-coated wire shelf in fridge * Multi-air-flow design * Fruit and vegetable crisper. Detailed Description Model: BCD-380w Capability: 380L Product Size: 690*700*1712 (mm) Packing Size: 736*759*1792 (mm) 40í»HQ Load Quantity: 67 PCS G.W/N.W: 80/75 kgs Power Source: 220V/50HZ Refrigerant/Weight(g): R134a Euro energy class: A Input Power: 120 W Power consumption: 1.19kWh/24h FF temp. : 0 ~ 10oC FZ temp. : í_-18oC Handle: Grip Lock: Without Fridge capacity: 282L Freezer capacity: 98L Condenser (Optional): Inside or Outside. The main segment section of the main line is a straight section that consists of plate link chain segment, roller segment, differential speed segment, powerless roller segment and various dedicated mechanisms. Part of the section requires speed controlled by frequency variation. The packing section is a straight section with powered roller segment. The vacuuming section is a linear moving section with fast return, speed controlled by frequency variation, and the carts established. The jacking and translating structural form is applied to vacuuming at entrance and exit. The main vacuuming segment moves synchronously with the differential speed bedplate segment in the middle section. The internal line is a fast return line of bedplates. Ningbo Lamo Electric Appliance Co., Ltd.